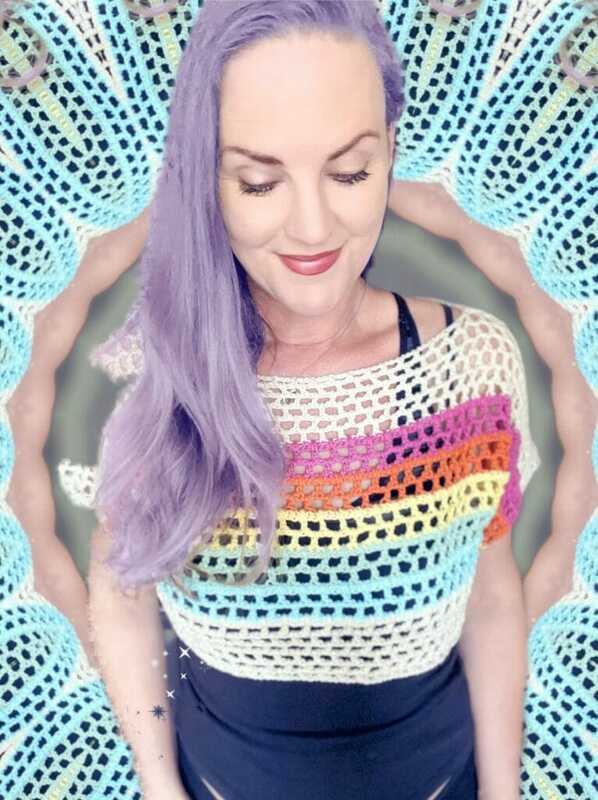 Are you a style-savvy woman who is in love with crochet? As summer staples, crochet crop tops would be the perfect accents for your denim shorts, zip-back skirts, and casual jeans. 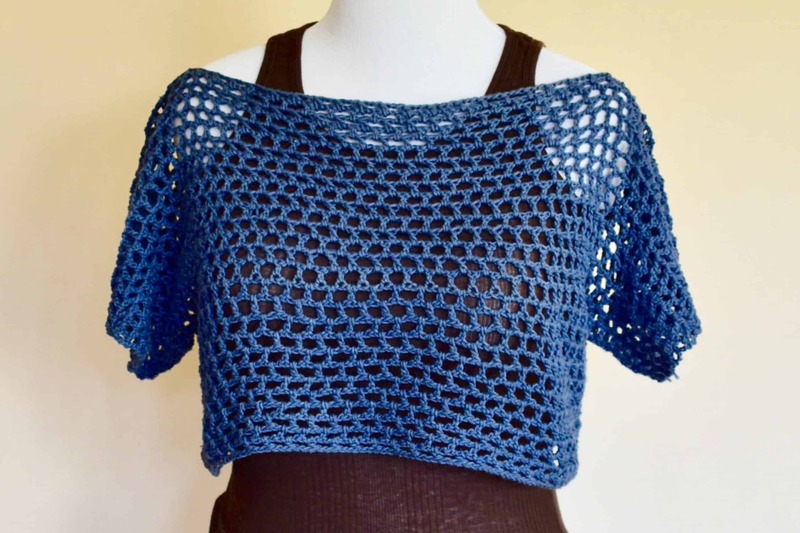 Throw on these striking crocheted tops and create a breathtaking silhouette for a party. 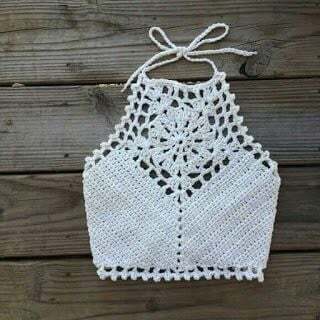 As few months are left for summer to arrive, you can start with this crochet crop top before you hit the beach. 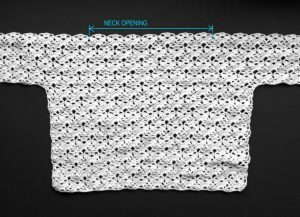 Click on the translate option and get step-by-step instructions to crochet this jaw-dropping crop top. 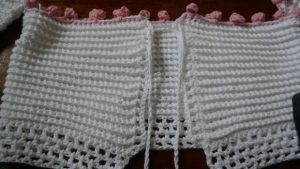 You can visit the site and download the PDF file to get complete details about the interesting crochet pattern. The glamorous lace top gives you ample opportunities to display your neck with ravishing chokers, beaded chains, and tassel necklaces. A style-appropriate crop top gives you more reasons to flaunt it at pool parties or vacations. You can wear this top even while doing your house errands or visiting a grocery store. 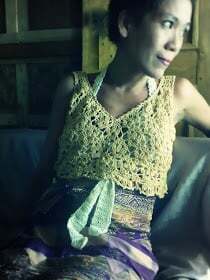 It looks eye-catching when crocheted in green or gold. The maroon crochet top is appealing and crocheted in a fashionable manner to make you look no less than a diva. You can see some more patterns for halter tops here as well. Although Burgundy is the new black this fashion season, the geometric-patterned top would look more impressive in mint or khaki. 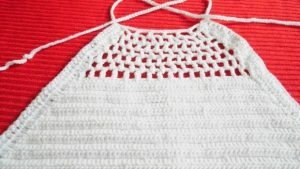 You can make some adjustments to the measurements for crocheting a plus size crop top. The ingenious pattern shouldn’t be given a miss. The tassels hanging from the top lends a boho-chic to your ensemble. 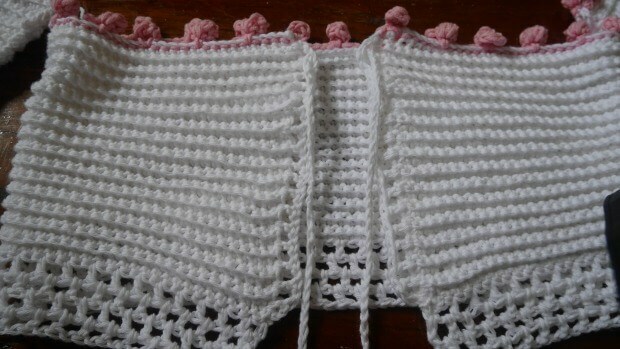 You make it look more ruffle with thicker worsted yarns. 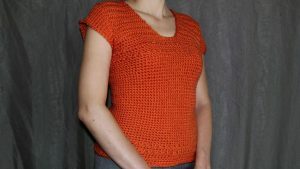 Crochet a dazzling short-sleeve sweater in this chilled season without compromising on your style. 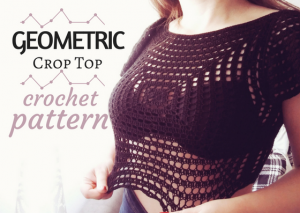 You can adjust the length to make it look like a crop top. This one would be classy to wear for all seasons. 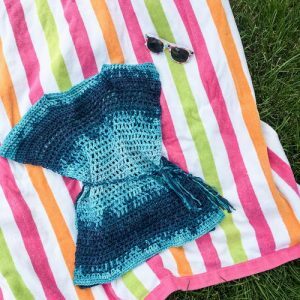 Enjoy the summer basking in the sun wearing a pair of shorts and this multi-colored bathing suit top. No doubt, this would be the perfect swimsuit for you. 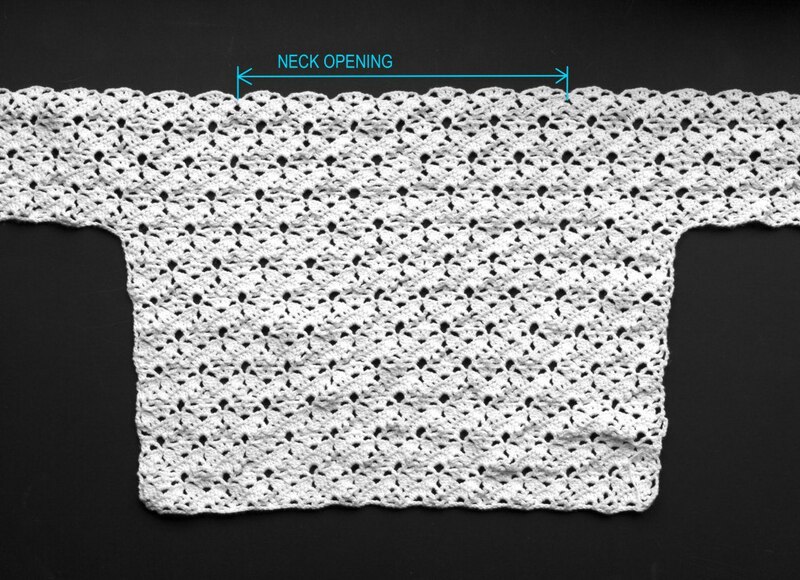 You can download the pattern in the PDF format and crochet a stylish piece for cooler summers. 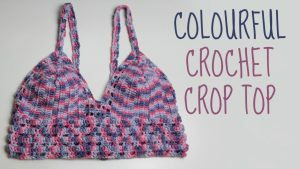 Pair this drop-dead gorgeous bikini top with a floral-printed or crochet skirt and stroll along the beach on a sunny day. 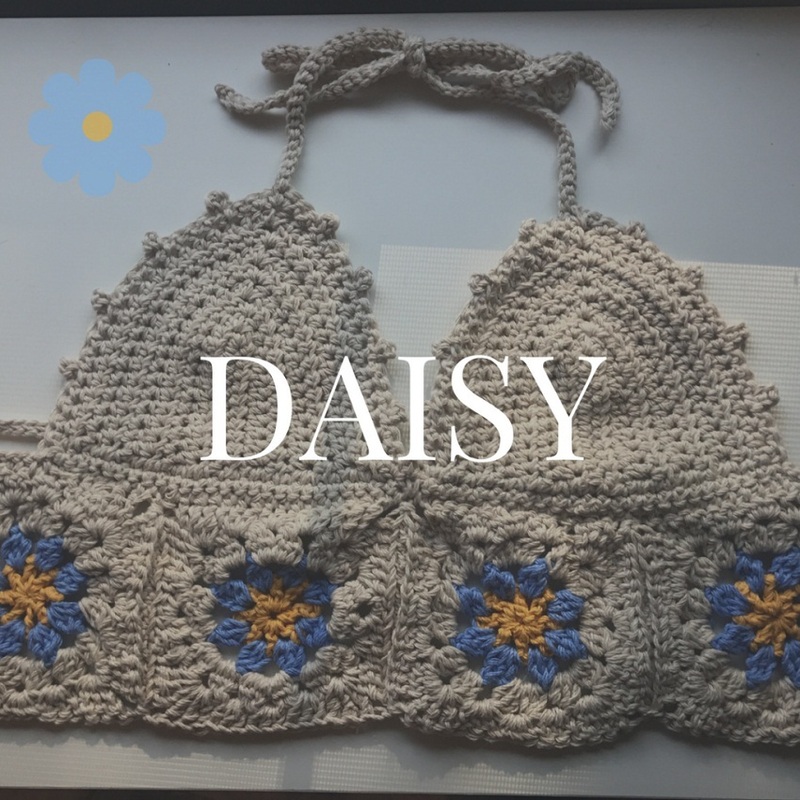 Beautiful flowers blooming on this crochet top gives it a unique look. This is ideal wear for celebrating a spring-to-summer transition. 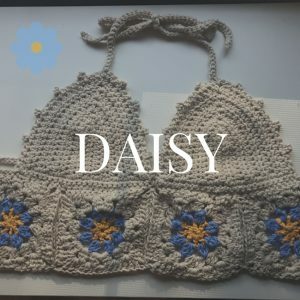 You can crochet rose patterns instead of daisy as well. You can style this pretty neon top with a lace skirt and don funky accessories for a hippie look. 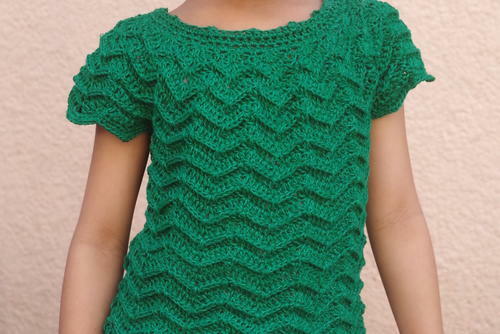 This pattern gives you complete liberty to experiment with yarns of different colors. The thick and bulky top would surely keep you snug and warm this year. Don’t forget to translate the language if you cannot follow the steps. Look like Mariah Carey in this sensual black halter top. Get your steel hook and worsted yarn moving to make it happen as soon as possible. You can tie dye this top as well to add more style statement. Nothing could be better than celebrating the colors of summer. Crocheting these pretty crop tops is the best way to expand your summer wardrobe in advance. Based on your size, you can do the fittings and don them with colorful accessories. You need to click on the bold heading above the image to get redirected to the website having the pattern. 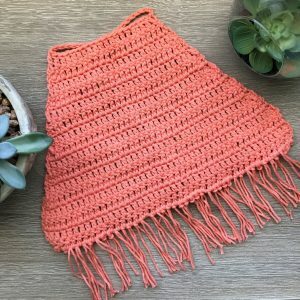 How do I translate patterns to English? Google itself displays a pop up offering to translate the page to English. If it doesn’t, just right click anywhere on the page and choose the option “Translate to English”.